As dog parents, it is important to know common symptoms of a sick dog, such as fever, appetite loss, diarrhea and vomiting, and the possible causes of such signs and symptoms. This page looks at 12 common signs and symptoms of a sick dog. Healthy dogs are usually playful, active, and alert. Once in a while, your dog may seem to be dull or lethargic, and you may wonder if your dog is sick. There are some common sick dog symptoms that can help you to determine if your dog is indeed sick, or if he is so seriously sick that you should get him to the vet without delay. Before we get to such sick dog symptoms, let’s look at some vital physiological signs of a healthy dog. Visit this page to learn how to take a dog’s body temperature. Locate the pulse with your fingers – you should be able to find it on the dog’s hind leg – it is right below the point where the leg joins the body. With every heartbeat you should feel a pulse. Count the number of beats in 15 seconds. Multiply the number by 4. Your dog’s pulse should feel strong and fall within the normal range. Too fast, weak, or erratic means it is abnormal and should be checked out by a vet. Dogs throw up sometimes due to a host of reasons, most of which are not too serious. Occasional vomiting is usually nothing to worry about as long as the dog is active and doesn’t show any other signs of illness, and there is no sign that the dog is dehydrated. Persistent vomiting is another story. It can result in dehydration, which in serious cases could cause the dog to go into shock. Chronic, persistent vomiting can be a sign of a serious problem like poisoning, or some form of gastrointestinal problems. Unproductive vomiting can be a symptom of bloat (an emergency). For vomiting that lasts for over 48 hours, take the dog to the vet for a proper diagnosis. Persistent diarrhea is another sick dog symptom that can lead to dehydration. It can be a sign of severe infection, poisoning, bowel injury, cancer, or an intestinal disease. If your dog has diarrhea on and off for several days, or if you find blood in the stool, be sure to take him to the vet to find out the underlying cause. 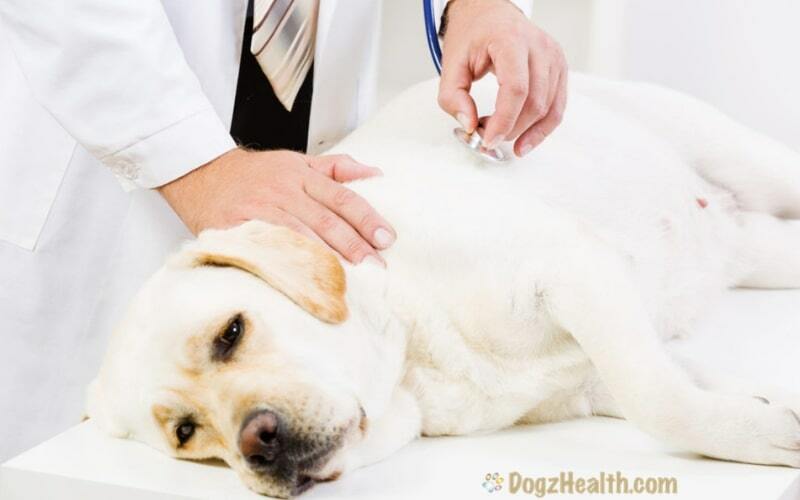 A dog with a fever can be suffering from some kind of bacterial or viral infections. If your dog has a slight fever but is otherwise acting fine, observe him for a day or two to see if the fever goes down. On the other hand, if your dog is running a high fever, or if the fever doesn’t go down within a couple of days, it’s time for a trip to the vet. If your dog has been out in the sun on a hot day for a while and develops a fever, he may have had a heat stroke, which is an emergency and should definitely be seen by a vet. Sudden and significant change in a dog’s urination habits, such as frequent urination, painful urination, or urinary incontinence, can be an indication of urinary problems such as bladder or kidney infection, kidney failure, or some form of poisoning. Any form of bleeding, especially in the urine or stools, can indicate a serious illness such as blood-clot disorders, bladder stones, bladder or kidney infections. It may also indicate some form of poisoning, or internal injury. Any sudden change in appetite or thirst is alarming, as it indicates a serious health problem, such as diabetes, Cushing’s disease, kidney disease, liver disease. Weight loss can be caused by a wide range of health problems including such serious illnesses as heart failure, diabetes, or liver or intestinal problems. A dog in pain usually cries out or whines especially when touched. He may also suddenly become aggressive. Drooling is another indication of pain. There are a lot of reasons that can cause pain to a dog, such as trauma, cancer, dental problems, etc. For older dogs, joint pain can be caused by arthritis. Dogs with hypothyroidism also may have joint pain. Any change in the breathing pattern (e.g. difficult breathing, panting, rapid shallow breathing) of your dog is worth investigating. Panting may be due to pain, overheating, heartworm infection, or heart disease. Difficult breathing may be the result of heart or lung problems, or airway obstruction by a foreign object. Sudden signs of lameness or weakness may be the result of trauma, infection, or heart failure. Persistent lameness may, especially in older dogs, be the result of arthritis. Any of these symptoms may indicate heart or brain problems. It may also mean high blood pressure, hormonal disorders, seizure, or poisoning. In older dogs, staggering and confusion may be caused by vestibular disease or even a brain tumor. Healthy dogs are active and playful. On the other hand, sick dogs are usually dull, lethargic, and do not even want to play with their favorite toys, or go for a walk. If your dog has become lethargic, it is likely that he has become sick. Watch for other symptoms to try to determine the cause. 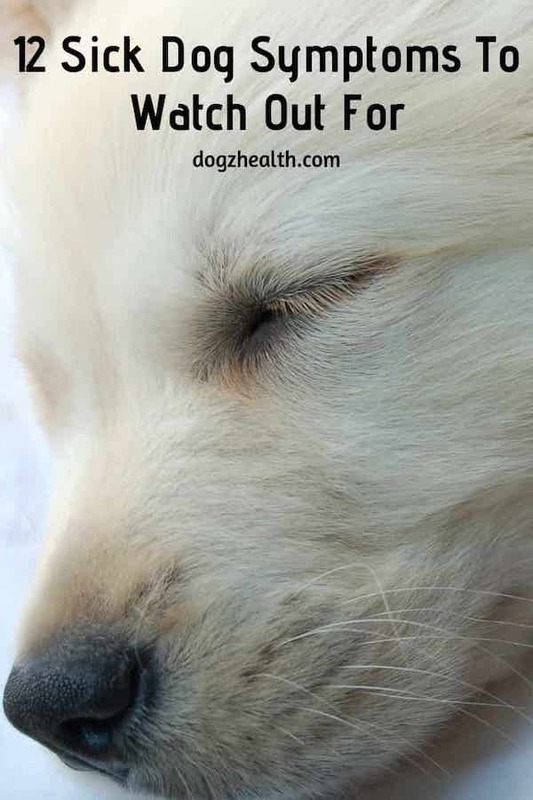 If that is not possible, and if your dog continues to be lethargic for over 2 to 3 days, consult with your vet. As you can see, sick dog symptoms can give us an idea as to what the problem is, and how sick our dog is, so we know what we need to do. In trying to decide what to do, one of the major considerations is age. Older dogs have weaker immunity and less reserve, and if an older dog suddenly shows some of the above sick dog symptoms, it is more of an urgent problem than a younger dog because things can deteriorate much faster in an older dog. Another factor that determines what action to take is, how quickly and how severely our dog has become ill. If the sickness symptoms come on very quickly (within a few hours or a single day), then obviously this is more urgent and serious than if the symptoms develop over weeks or months.